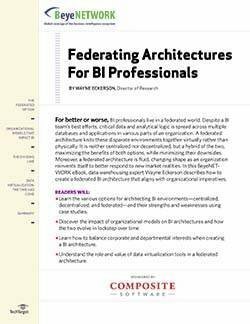 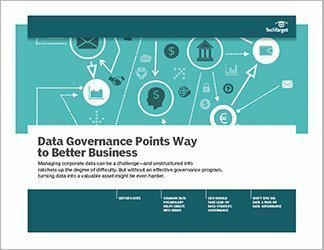 Read this expert e-book by business intelligence visionary Wayne Eckerson and gain insight into the growing adoption rates of big data technology and why companies are finally recognizing its many benefits. 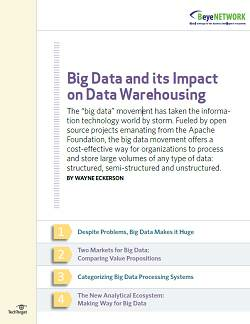 Eckerson offers a comparison of open-source options and analytical platforms, and also dives into an analysis on the varying types of processing systems. 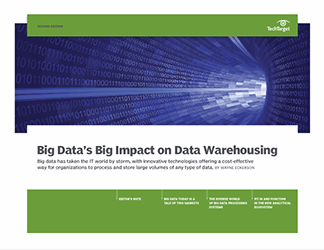 Big data and data warehousing: Where's the relationship headed?